A few more retailers have been announced for the first phase of The Wharf. According to the Washington Business Journal, Social Restaurant Group plans to open a French-Mediterranean restaurant called La Vie. From the rendering, it appears that La Vie will be located in Parcel 2, which includes Wharf Hall and an apartment building. La Vie will be a 9,800 SF restaurant with a 1,100 SF waterfront terrace and will have access to a 5,000 SF rooftop terrace. Social Restaurant Group operates other establishments across the city, including Provision 14, The Prospect, and Bonfire. The Foggy Bottom mainstay will open its second location at The Wharf, with a 6,300-square foot store. In addition to the hardware offerings and the bike shop, the Southwest location will also sell water sports equipment and feature a café in conjunction with local coffee roaster Vigilante Coffee. The proposed hours of operation would be Sunday through Thursday 7:00 am - 2:00 am, Friday and Saturday 8:00 am - 3:00 am. A 9,000 SF CVS is also planned – likely to be along Maine Avenue, which was where neighborhood-serving retail was supposed to be placed. Several other tenants were announced back in March, but the new batch are the first non-restaurant retailers to sign at The Wharf. In other Wharf news, Globest.com states that a lease has been signed with MakeOffices, a collaborative office space provider for 45,000 SF at 800 Maine Avenue. The office building is one of two that will be built during the first phase of development at the Wharf. Preliminary site work started this month on the new International Spy Museum. By spring 2018, the museum will relocate from Penn Quarter to L’Enfant Plaza on a site fronting 10th Street. The new International Spy Museum will occupy 140,000 SF, much larger than the current facility and will allow for three levels of permanent exhibition space in addition to event space. A museum store and lobby will be located on the first floor. Part of the design includes a transparent “veil” which will allow people on 10th Street to see activity inside of the museum. 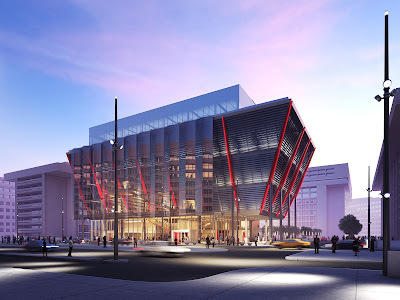 JBG has partnered with the International Spy Museum on the project and has been designed by Rogers Stirk Harbour + Partners. Hickok Cole is the architect of record. JBG came before the ANC last week to get their support for doing foundation work in the parking garage during evening hours. The developer also wanted support for closing off an area in front of 10th Street for construction staging. Both requests for support were granted, although the ANC wanted JBG to report back to the commissioners if additional late work requests are needed. L’Enfant Plaza has been revamped in recent years, including a renovation of the retail center with new restaurants and stores and two renovated office buildings. Meanwhile, the L’Enfant Plaza Hotel is currently closed for renovations. The foundation and loading dock for a new office building was built in 2015 by JBG, but the rest of the building won’t be completed until an anchor tenant is secured. The new museum will be located just a couple blocks south of the National Mall and will contribute to the revitalization of 10th Street, a wide, but forlorn stretch between the Smithsonian Castle and Banneker Overlook. A revitalized 10th Street was part of the SW Ecodistrict plan, which was developed by the National Capital Revitalization Commission for a multi-block area south of the National Mall and north of the Southwest freeway. The area is currently dominated by federal office space, but the plan calls for mixed use, sustainable development, as well as the reintroduction of Maryland Avenue and other streets. Saturday mornings in June will bring Waterfront Workouts, including DC Dragons at 8am; YaLa Fitness at 9am; and M Street Yoga at 10am. This is in addition to the day market at the same location every Friday through October from 9am to 2pm. Another farmer’s market can be found at The Lot at 4th and M streets on Saturdays from 10am – 2pm though November 19th. Dreaming Out Loud is bringing the Southwest DC Farmers Market to Waterfront Station with the support of SWBID and Waterfront Associates. Market SW night market returns for a second year to The Lot at 4th and M streets and will take place on the fourth Friday of each month (the first one was last Friday) until November. The next one will be on June 24. 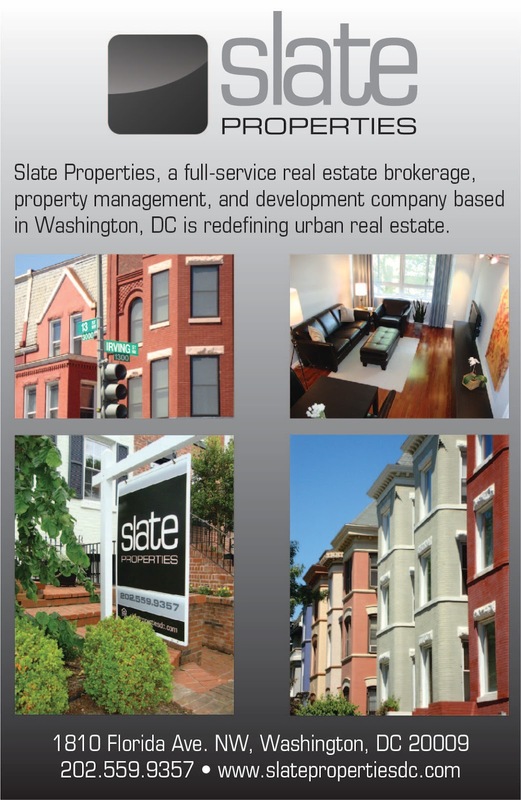 For more information, visit marketSWdc.com. There will be a Southwest Community Yard Sale tomorrow starting at 9am. The yard sale will be at Harbor Square and Tiber Island (4th and N streets).